Kett Country Cottages01328 801472work Holiday Letting AgencyFor a selection of 200 very special, individual holiday cottages in North Norfolk come to Kett Country Cottages. 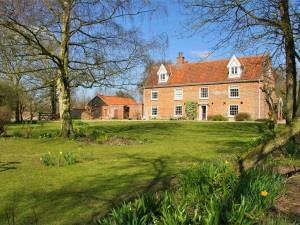 Kett Country Cottages offer an extensive range of holiday cottages in North and North East Norfolk. Many are only a few minutes from the beaches and all are within striking distance of the numerous other attractions in the area. Some are ETB inspected and graded up to 5 stars. Pets are welcome in a number and most are available for short breaks as well as full weeks. When looking for somewhere to stay for a holiday, especially in an unfamiliar area, you need to talk to people with local knowledge you can trust. Kett Country Cottages understand that hopes, expectations, time and money are invested in a holiday, and we will go to considerable lengths to ensure that you have the property which suits you, and which enables you to have the holiday you want. And with 200 properties in an area stretching along the coast from Heacham through to Burnham Market and onto Mundesley, and inland to Holt, we have something for everybody. Clear and comprehensive information on all properties is available on our website, and booking is easy and efficient, either online or over the phone. So if you want somewhere in Norfolk from which to celebrate, relax, explore, in a large group or on your own, with your children or your dogs, whether you want a pet friendly farmhouse for 12, a beach bungalow for 4, or cottage overlooking the marshes, we can help. For a selection of 200 very special, individual holiday cottages in North Norfolk come to Kett Country Cottages.